It has now become a hobby of humans to break limits and creating new records and then again breaking them. Nowadays we see huge and tall buildings in our cities which are keep getting taller and taller. And we are seeing no sign of stopping, man made concrete mountains are getting bigger and bigger. Humans has never thought that they can built a building that can touch the touch the clouds but actually they have developed such buildings. Today, we have made a list of tallest buildings in the world. The list we are presenting you today has been made by “The Council on Tall Buildings and Urban Habitat” which is a non-profit organization. All of the buildings in this list are above 390m. All of these buildings are completed and operating. Some of these buildings are used for offices, some are for residence, some for restaurants, malls and for many other purposes. This is the latest list of 2016 which you won’t be find on any other website with such detail. We hope you will enjoy our list and share it with your friends and let them know about this latest list too. If you find that there should be a building in this list, which is not then please tell us about this. Enjoy the list of “25 of the Tallest Buildings in the World”. Burj Khalifa is the tallest building of the world. It consist of 163 floors. Its height is 828 meter which makes it the tallest building ever constructed. It was Inaugurated in 2010. It is located in Dubai, UAE. Shanghai Tower is located in the capital city of China; Shanghai. Its height is 632 meters. It has 128 floors and was first opened for public in 2015. It was designed by Marshall Strabala and Jun Xia. Abraj Al Bait is a giant clock tower in Mecca, Saudi Arabia. It is owned by the Government of Saudi Arabia. It has 120 floors and was inaugurated in 2012. It was made for Hajj Pilgrims. Ping An Finance Centre is located in China. It is the world’s 4th and China’s 2nd tallest building. It was opened in 2016. Its height is 599 m and has 115 floors. The building is owned by Ping An Insurance. Lotte World Tower is located in South Korea. Its height is 555 m and has 123 floors. It construction was started in 2011 and was completed this year. It is the tallest building of South Korea. One World Trade Center is the rebuilt World Trade Center who was destroyed in 2000. It is located in USA. Its height is 541.3 m and has 104 floors. It was inaugurated in 2014. CTF Finance Centre is located in China. It height is 530 m and has 111 floors. It was opened in 2016. It is owned by Chow Tai Fook Enterprises. Taipei 101 is a finance center located in Taiwan. It was once the tallest building of the world. Its height is 509 m and has 101 floors. It was built in 2004 and remained as the tallest building of the world till 2008. Shanghai World Financial Center is located in China. It has 101 floors and has the height of 492 m. It was opened in 2008. It took 11 years to complete this amazing skyscraper. International Commerce Centre is 118 floors building in Hong Kong. It was opened in 2010 and has a height of 484 m. It is the tallest building of Hong Kong. Petronas Tower 1 is located in Malaysia. It is a tower of Petronas Twin Towers. It is once the tallest building of the world. It is made for tourist attractions. It has 88 floors and has height of 452 m.
Petronas Tower 2 is 2nd tower of Petronas Twin Towers. Its has the same floor and same height. Both towers have shopping mall, residence and many other things for enjoyment. Zifeng Tower is a 450 m tall building in China. It has 89 floors and was first opened in 2010. It is currently the 6th tallest building of China. The top floors of it has hotels and restaurants in it. Willis Tower formerly known as the Sears tower was once the tallest building of the world. It has 100 floors and its height is 442 m. It was first opened in 1974. It is the most oldest building in this list. KK100 old name is Kingkey Finance Tower is located in China. It has 103 floors and its height is 442 m. It was inaugurated in September 2011. It is the tallest building that British architect has ever created. Guangzhou International Finance Center is also located at China. It has 103 floors and a height of 440 m. It was opened for public in 2010. Wuhan Center is located in Wuhan city of China. Its construction has been completed this year. It has a height of 438 m and 88 floors. Marina 101 is a 426.5 m high building with 101 floors. It is located in UAE. It has apartments, restaurants and hotel in it. 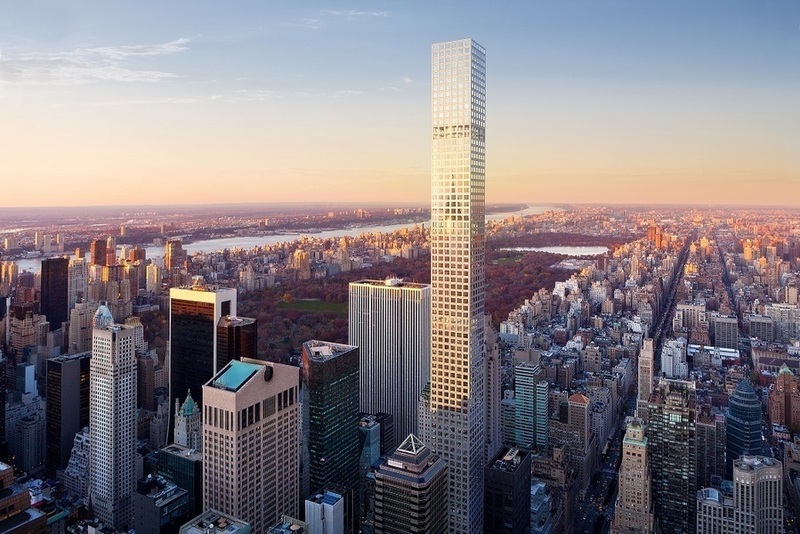 432 Park Avenue is 426 m high skyscraper located in New York, USA. It has 88 floors. The projected was completed in 2015. Trump International Hotel and Tower is a luxurious hotel located in Chicago, USA. It is owned by Donald Trump. Its height 423 m and has 98 floors. Jin Mao Tower is located in China. Its height is 420.5 m and has 88 floors. It was first opened in 1999. Princess Tower is located in Dubai, UAE. It has 101 floor and it height is 414 m. It was first opened in 2012. Al Hamra Tower is located in Kuwait. It is the world’s 2nd tallest twisted skyscraper after Shanghai Tower. Its height is 413 m and has 80 floors. International Finance Centre is located in Hong Kong. It has 88 floor and height 412 m. It was completed in 2003. 23 Marina height is 395 m and has 89 floors. It is located in Dubai, UAE. It was once the world’s tallest residential building. We hope you have enjoyed our list. Please share it with your friends and relatives and let them know about this list too. If you find any mistake then tell us about it. Look at our other lists too.